Slovakia based jazz funk trio Finally was founded by Eugen Botos (piano) – leader and composer of the band, Robert Vizvari (bass guitar), Martin Koleda (guitar). In 2008 the trio became the touring band of Eric Marienthal in Europe which gave them some contact with the American contemporary jazz scene. In 2010 they released their debut album My Space. Final Definition is their sophomore album, which was released in Japan in 2016 and this year in the rest of the world. The album features an incredible variety of top musicians. Among them are famous singers like Brian McKnight, Maysa Leak, Dionne Warwick, Angela Johnson, Sheldon Reynolds, sax player Eric Marienthal, drummers Dave Weckl, Eric Valentine, Oscar Seaton and Ronald Brunner Jr., bass players Marcus Miller and Victor Wooten, keyboardist Jeff Lorber and many more. Marcus Miller introduces into the theme of Love For Real with his sonorous sounding bass. Featured singer is Sheldon Reynolds, the former singer and guitarist of the groups Sun, The Commodores and Earth, Wind and Fire. The song also offers prominent solos by Marcus Miller and Jeff Lorber on Rhodes. A thrilling performer and one on the rise, vocalist and multi-instrumental soul/jazz artist Marcus Adams is a sign that the new crop of smooth jazz artists can certainly carry the torch. Working on his sophomore studio album, he combines R&B, Soul, and Jazz to create songs that takes the listeners on a musical ride of the highs of love and depths of pain in life. His friendship with Grammy nominated producer Demonte Posey led to the release of his heralded freshman release entitled Suddenly. The project propelled Adams into the national spotlight. The jump from a beloved local act in Milwaukee, WI to a favorite performer in jazz venues across the nation proved to be the right path for Adams to establish his unique sound and brand. Following the release, Adams toured the nation and created an avid and loyal following. In a recent radio interview, Adams said he believes that the idea of winning a Grammy is a great honor by one’s peers, but the most important thing to him is seeing the way his music can inspire people and change their ways of understanding. The six infectious tracks on his sophomore release Dream Again have the power to do just that, starting with the perfectly titled “Heartbeat,” which begins the journey with a vibrant soulful melody sang by him, a thumping groove and rich soaring sax textures. Adams is all about love and passion on “Tonight”, a sizzling r&b influenced ballad featuring an emotional trumpet accompaniment by Lin Rountree and subtle guitar nuances by guitarist Nils. “Leave it Alone” is a peek into the ups and downs of love as Adams and jazz artist “Angela Rene” sings to a grooving beat featuring hypnotic piano textures provided by Nate Harasim and rocking guitar riffs by Nils. Named after a jam session with a friend, “Tj’s Groove” is an inviting soprano-driven melody enhanced by a grooving bass line and subtle trippy synth effects. Adams explains the romantic tribute ‘My Everything’ is to be viewed this way: “There is a single woman that can please you in every way. The challenge is finding her. The joy is in living life with her.” Dream Again wraps with the project title tune, a story of Adams’ personal struggles with mental health and a tribute to Kate Spade and Anthony Bourdain. Adams is currently preparing to tour in the fall of 2019. Get the album on iTunes. Eugen Botos Finally are a trio of outstanding Slovak musicians, comprising of keyboardist, composer and multi-instrumentalist Eugen Botos, bass guitarist Robert Vizvari and guitarist Martin Koleda playing under the name Finally. Their album Final Definition, however crosses miles away from their homeland and features a host of well known artists such as Marcus Miller, Victor Wooten, Dave Weckl, Eric Marienthal, Jeff Lorber and Maysa Leak amongst others. Final Definition is a recording full of original compositions delivering an excellent blend of fusion, jazz and soul to the listener. Eugen Botos Finally will be a name that will stay in your memory banks and Final Definition will most definitely be an album that you will play on repeat. Arizona native sax performer Neamen Lyles aka Neamen began his solo career striving to be a smooth jazz star. In this rare case, claim and reality coincide. Recordings and performances with the likes of Jeff Lorber, Rick Braun, Mel Brown, Mindi Abair and sharing events with Dave Koz, Jay Soto, Greg Karrukas and others speak a clear language. He dispelled all doubts with his debut work So Free (2011), which was highly praised by critics. Now he continues his earlier success and has released his second album Moment Of Truth together with Jay Soto, with whom he also produced his debut album. 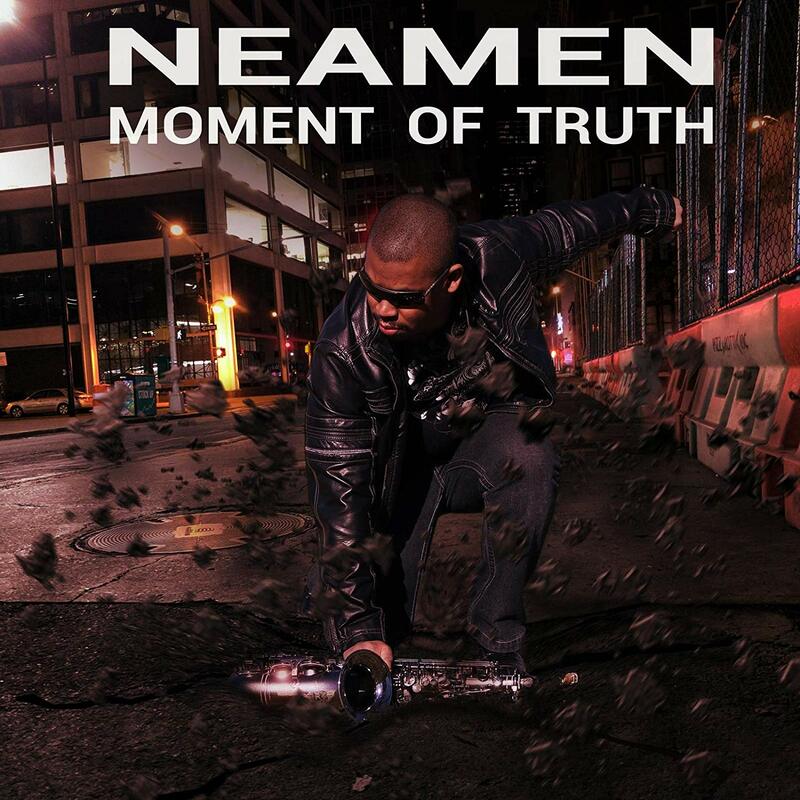 Neamen performs on the new album tenor, alto and soprano saxophones, Jay Soto guitars and keyboards. Jay also made mixing and engineering. Additional musicians are Austin Carthell, Rachelle Youngberg, Eric Loveres, Erika Schiff, Steve Lane and Crystal Stark (lead vocals), Jodi Light (background vocals), Tom Gioia, Marlon McClain (guitars), Mikey B (B3), Mel Brown, Mario Mendivil (bass), Tony Mora, Yon Yokobian (drums and percussion), Rick Peron, Carlos Chavez (trumpet), Bobby Hastings, Bradon Larson (tenor sax) and Hiram Perez (baritone sax). Toronto based musicians Rob DeBoer and Tony Grace are Four80East. They started with The Album in 1997, followed by Nocturnal (2001), Round Three (2002), En Route (2007), Roll On (2009), Off Duty (2012), Biblotheca (2013), and Positraction (2015). Their newest project is titled Four On The Floor (2018). It’s digitally available on all platforms. Physical EPs are distributed on their concerts and will be available according to Rob next year. The EP features Cece Peniston, and Wade O. Brown. Get your copy here. Renowned by his peers as “The Quincy Jones of Gospel,” Terrence Richburg has graced that realm as a songwriter, vocalist, arranger, orchestrator, producer, keyboardist, guitarist, bassist and percussionist. In addition to working with the likes of Yolanda Adams, Shirley Caesar and Ben Tankard, he has been a force in gospel jazz with his own groups R&R and The Terrence Richburg Experience. His latest Smooth Jazz collection Portrait of Adoration is a powerful testament to Richburg’s wild multitude of talents, driven by his love of God and equal passions for sensual soul-jazz, sizzling funk and dazzling keyboard and guitar melodies and improvisations. Along the way, Richburg also impresses with some Take 6 like vocalizations. Get this album on Amazon.com.